Blackout lined. Slight sheen that mimics the finest texture of silk dupioni. Come with adjustable hooks and ready to hang. Sold per panel. The panel width are the width that pleats already set in the panel. Order more quantity to create fullness and coverage. Measure length from the eye ring hooks. Fabric material: 100% polyester faux dupioni silk, in 105gsm. Lining material: blackout lining in 140 gsm, white. Style: Classic, casual, traditional, and modern. 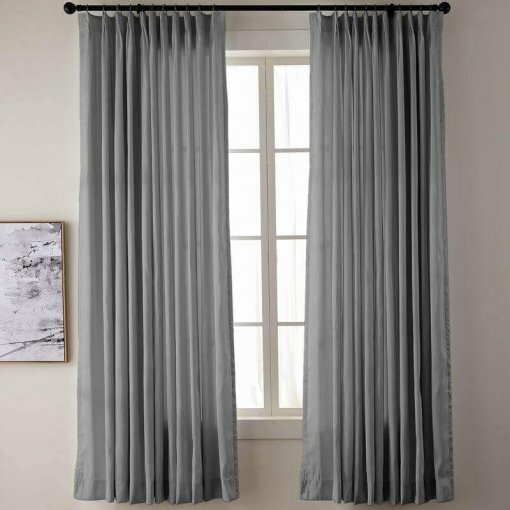 This wonderful color highlights the refined feeling of these textured drapes and mixes well with any color scheme or decor style, from classic to modern. Fit for: Livingroom, diningroom, bedroom, restaurant, club etc. Pleats pin hooks quantity: 9 pleats for 50" width; 13 pin pleats for 72" width; 19 pleats for 100" width; 23 pleats for 120" width. 4. 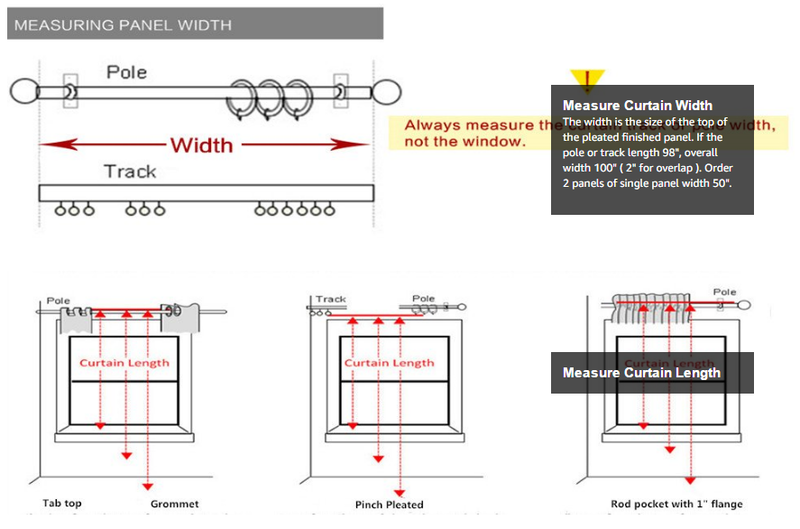 Only 4 steps to place customized curtain drapes online easily and efficiently to save your time. We live for internet. These drapes are beautiful and very well made. The silk texture if very rich and the color is vibrant with a nice white lining. Lone my new curtains. Great quality and color is very nice! It took a while to come in but worth the wait. I am ordering another color today! Beautiful... Soft lovely lining that is white on the outside facing the window. The lining is a soft gray on the inside (next to the drapes themselves so not visible) and blocks some of the strong afternoon light and noise.The drapes themselves are a nice cool-shade off-white. They look white in my home. I ordered Loyalty Blue with a blackout lining and flat hook headers. The color and material are very nice. I like the way the flat hook header lays. However, the blackout lining lets light through (see photo). If you want it dark, get the thermal lining. Chadmade was easy to work with. I highly recommend these drapes. The fabric is excellent quality. The manufacturer contacted me to insure I had measured correctly. Actually, I didn't--but was so sure I had that I didn't double check. Still, I'll be able to use the drapes; they are a little wider than needed--but that is totally my error! I like the plastic clips better than the old metal ones. Just got my curtains, WOW they are made beautiful and they look elegant. I absolutely loves these drapes. Nicely made and the color is what I expected. The option to purchase a valance made at the same time would have been wonderful. Good value for the price. Nice fabric. Wrinkles came out after only 10 minutes in the dryer with a wet washcloth. Well made and fair price. Nice fabric. Available in wide width I couldn't find in other curtain options. 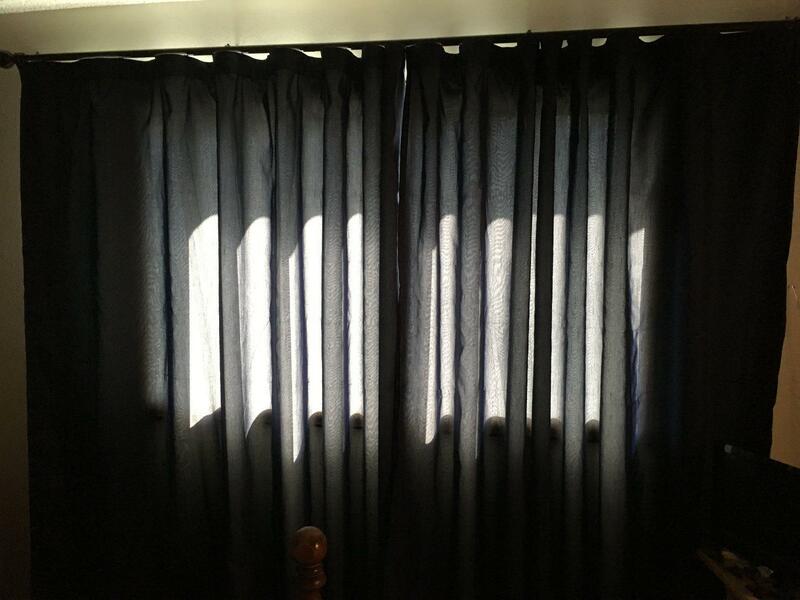 Second set of curtains and just as pleased as with the first. i plan to order another set. they iron beautifully, needing just the slightest touch when they come out of the packaging and none at all if you like a slightly vintage look. well made, fast shipping. These curtains are a great value. Excellent quality. I ordered 6 more panels for the rest of my house. This drape was beautiful and I could not believe the quality for the price! I had to return it because I have no way to use single pull drapes and I measured wrong, but the drape was lovely. Well made drapes. Fit very well and like the green color. Would order again.